Join us for the 2019 Ag Aviation Expo Kickoff Breakfast on Monday, Nov. 18. We are excited to announce Sean D. Tucker as our Kickoff Breakfast speaker! In 1975, he began competing and quickly earned national recognition and the coveted title of U.S. National Advanced Aerobatics Champion. 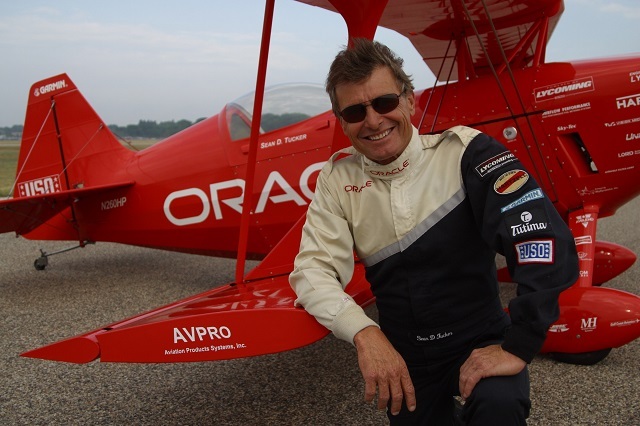 With over 20,000 hours, more than 1,275 performances and 525 airshows in front of more than 135 million fans, he has won numerous aerobatic competitions and received over 18 prestigious awards, including induction into the National Aviation Hall of Fame. Sean amazes audiences with his high-energy routines, and his original flying style and infectious personality have rocketed him to the top. 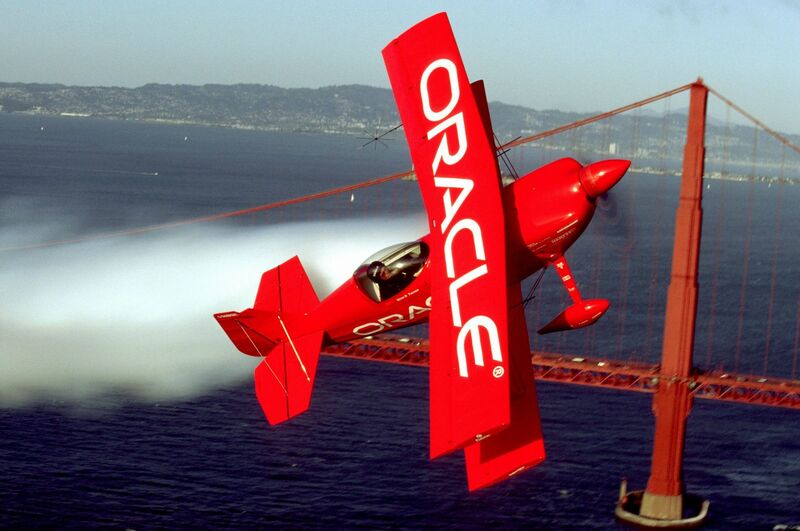 In his performance, he flies his highly modified, one-of-a kind aerobatic dream machine sponsored by Oracle backwards, straight-down and tail-first at more than 100 mph. Its revolutionary set of wings uses eight ailerons instead of four and sports a high-performance tail. Over half of Sean’s maneuvers are original and have never been duplicated by another aerobatic pilot. Sean is also the only pilot to perform a triple ribbon cut where he flies through the ribbons, which are only 25 feet off the ground, at 220 mph in right knife-edge for the first ribbon, then left knife-edge, and finally inverted. The level of professionalism and discipline in Sean’s airshows is no coincidence. He practices his airshow routine three times every day. To endure the extreme physical demands of each routine, Sean maintains a rigorous physical training schedule, working out more than 340 days per year. Named as one of the Living Legends of Flight, Sean is a member of an elite group of aviators and astronauts that includes General Jimmy Doolittle, General “Chuck” Yeager and John Glenn.